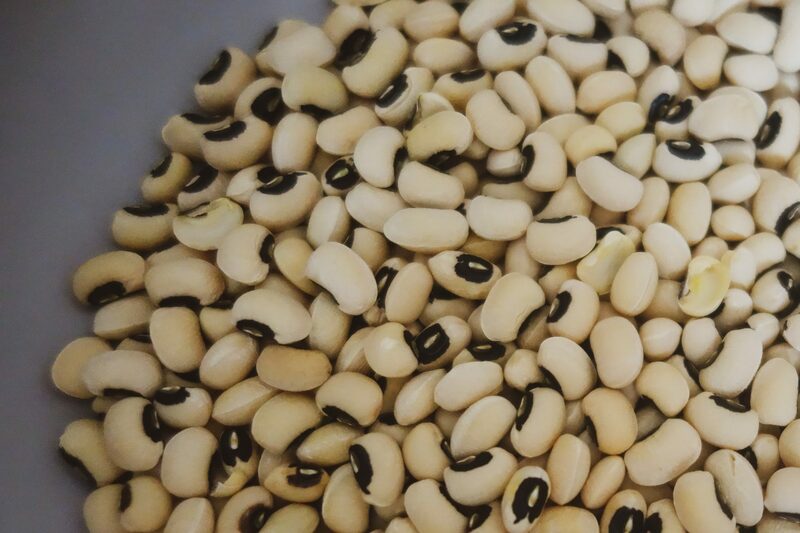 One of the most healthy and nutritious variety of legumes is the black eyed peas/beans, generally called “lobia” in India and “Raungi” in Punjab. Inspite this being packed with nutrition , these beans are the most under rated and under utilised variety we use in our kitchens. These can be added to our daily diet in a variety of ways- salads, soups, stews ,snacks and even curries.These are really easy to cook.This one variety of beans, does not necessarily requires to be soaked overnight unlike the other variety of beans, and takes much less time to cook.In India this dish is usually cooked in the form of curry. 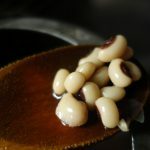 In my home in Amritsar, Black eyed peas gravy with rice is a regular dish , and I remember when we were kids ,my mum really insisted that we eat these(like every other healthy food option).But inspite of her attempts to encourage us to have these, because of their health benefits, I was never much inclined to eat them! Why??? Because kids think that as per their mums ,anything that they don’t like is healthy!!! You get to know such things, when you are a mum yourself. Talking about the ways this can be made, when my mum makes it in the gravy form, my mother in law makes this without gravy, and that too is a really nice option to try!! I will separately share the recipe for the option sans gravy as well. 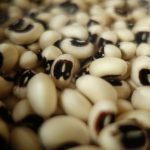 For this recipe – black eyes beans (lobia)curry, the main ingredient is of course the nutritious black eyed peas/beans. 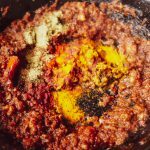 Other than this you would need- onions, tomatoes, ginger, garlic, green chillies, coriander, dry spices- cumin seeds, coriander seeds, hing powder(asafoetida), salt, red chilli powder, turmeric powder, degi mirchi, coriander powder, garam masala and kasoori methi (dried fenugreek leaves). 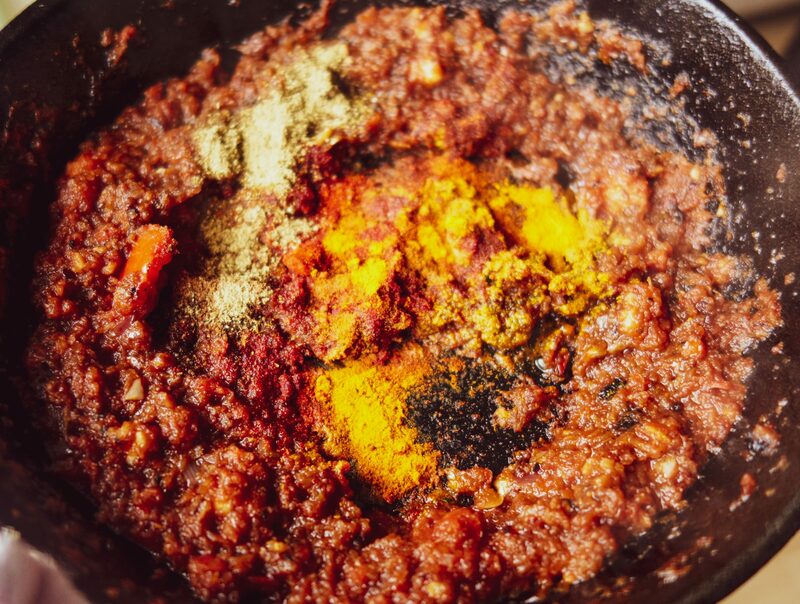 I always add degi mirchi powder, in addition to the red chilli powder in my recipes, as this is a unique, age old blend, processed from special varieties of colourful Indian red chillies, and adds a glowing, natural, beautiful red colour to your dishes. It is mild-hot and not very spicy. Another word on chillies, in my recipes, I mostly use slit green chillies- the reason being that my husband and daughter do not like the food too spicy, and are not too fond of green chillies. And me on the other hand, I do not like my food without the green chillies!!!!! Another thing is that ,other than adding spice to your dishes, green chillies impart a beautiful taste and aroma to the Indian dishes.Adding green chillies, always adds flavour to your food. So instead of avoiding these, I add them whole (if I want very mild taste), or slit these . So this way, I can have all the green chillies, and others can take it out.Thats my mum’s tip, that I like use in every recipe now.If you like the spice, just go ahead and use chopped green chillies. See the list of ingredients for most of the Indian foods, is just so similar, almost the same!! The qty , the proportion varies a bit. 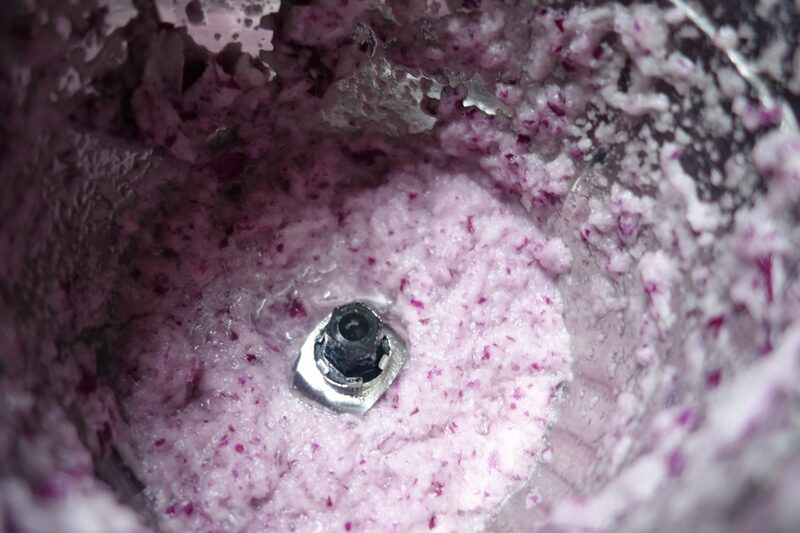 The only thing you need to change is the main ingredient! !Thats the secret. 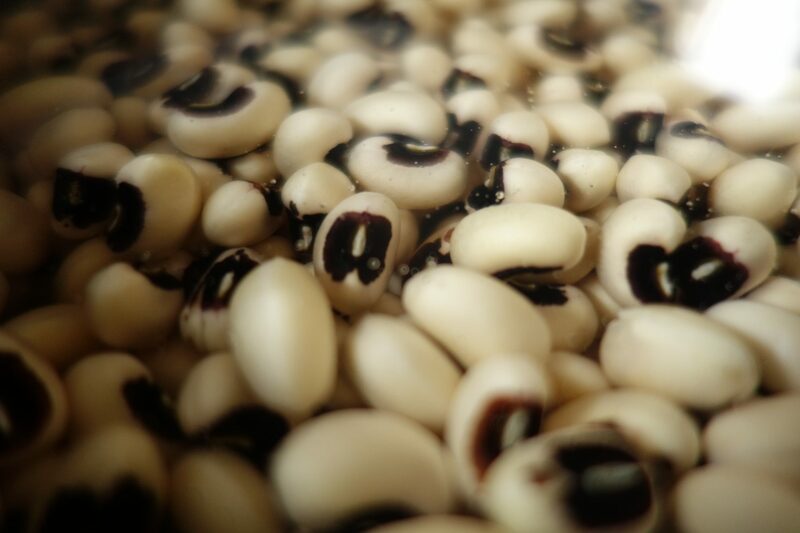 Hush hush…..
To start with , as I said earlier in my post, these beans need not be soaked in water for hours and hours. This is one of the quickest to cook. I usually do not soak them overnight. This is one variety of beans that I cook, when I have not thought of “what to cook for dinner tonight / tomorrow”? But if sometimes I get a little organised, and plan ahead to make these, then I wash them and soak in enough water, for half an hour or so, and then cook it. Soaking reduces the cooking time by almost ,like 15 minutes.For this recipe, I did soak it for half hour in plain water, and then pressure cook it for 15-20 minutes, so these are nice and soft. 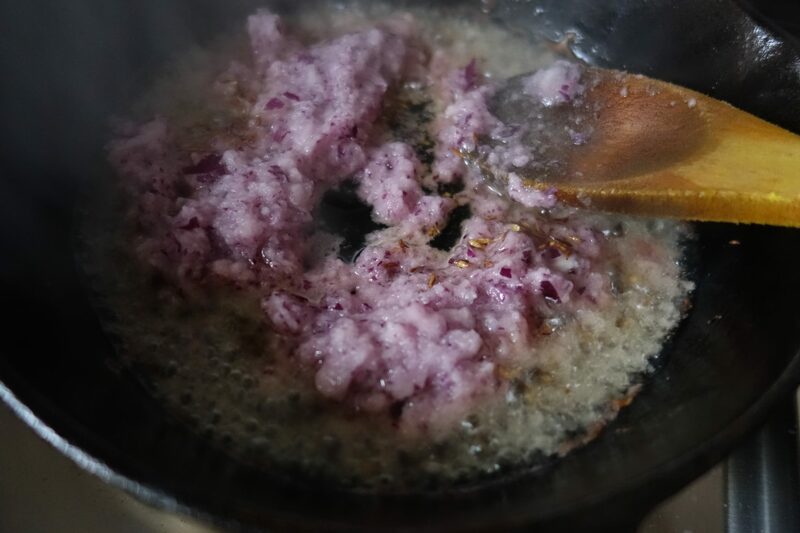 Once done, heat oil/ ghee in a pan, and add cumin seeds, hing(asafoetida), let these splutter and add finely chopped ginger and garlic(you can substitute the fresh chopped ginger garlic with ginger garlic paste as well)-sauté till the raw aroma of ginger and garlic is gone. Add onion paste(I do not make a very smooth paste for this recipe, just roughly grind it so that it has little texture and is not very smooth and creamy ), sauté these, till onion is golden brown. 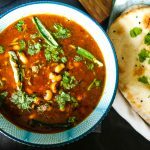 Add slit green chillies, sauté the tempering (tadka ) for another 2-3 minutes, and then add the tempering to the boiled Black eyed peas .Mix well. Cover and let the beans simmer and take in the aroma of the tempering for 15-20 minutes, or simply pressure cook it for another 10 minutes or one whistle. 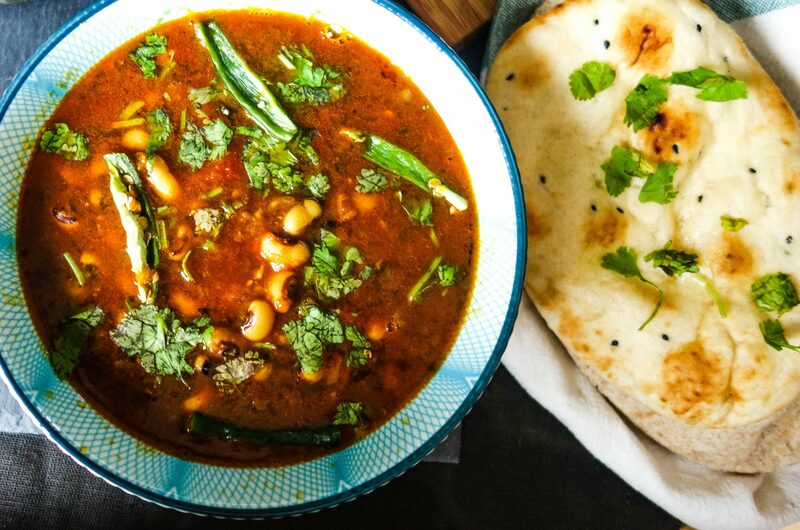 Once ready, garnish it with chopped coriander and slit green chillies. These taste amazing with rice, with chapatis, or even parantha’s. Add some chutney/pickle , some salad and chilled yoghurt or raita as accompaniments. 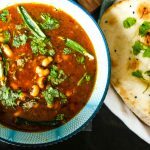 Black eyed peas curry (Lobia curry) recipe-Creamy black eyed peas curry slowly simmered in onion tomato paste and rich Indian spices. Wash and soak the beans in enough water for approximately half an hour. If by any chance you do not soak these, wash these thoroughly and use them for cooking. 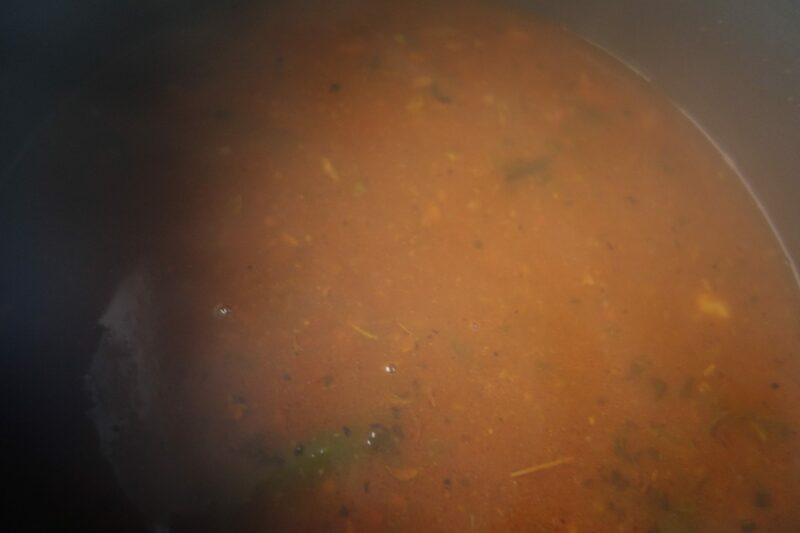 Boil the beans in pressure cooker with a tsp of salt. 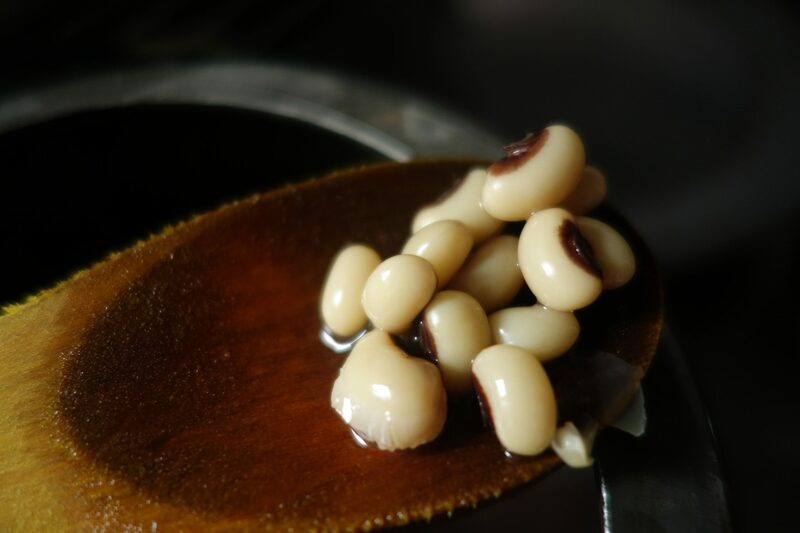 For one cup beans use 4-5 cups of water.If you are using soaked beans, pressure cook these for about 15-20 minutes. If you have not soaked these, pressure cook these for about 30-35 minutes. After 2-3 whistles, lower the flame and let these cook on the cooker for rest of the time. In a separate pan, heat oil/ ghee in a pan, and add cumin seeds, hing(asafoetida),freshly crushed coriander seeds and let these splutter for a few seconds. Add finely chopped ginger and garlic(you can substitute the fresh chopped ginger garlic with ginger garlic paste as well)- Use 2 tsps of ginger garlic paste. Saute these till the raw aroma of ginger and garlic is gone. 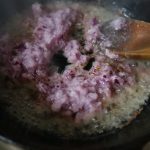 Add onion paste(I do not make a very smooth paste for this recipe, I just roughly grind it so that it is not like a creamy texture), saute these, till onion is golden brown. 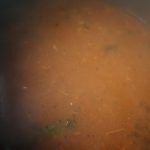 Now add Tomato puree, and saute till water evaporates and the puree starts to get deeper and darker , and you see oil leaving the sides.This means that tomatoes are now cooked. Add salt (remember that you added some salt while boiling the peas, so adjust salt qty accordingly now), red chilli powder, rest of the dry spices- turmeric powder,degi mirchi powder,coriander powder, garam masala and kasoori methi (dried and crushed fenugreek leaves). Add slit green chillies, saute the tempering (tadka ) for another 2-3 minutes, and then add the tempering to the boiled peas.Mix well. Now cover and let the cooked beans simmer and take in the aroma of the tempering for 10-15 minutes, or simply pressure cook it for another 10 minutes or one whistle. Once ready, garnish it with chopped coriander and slit green chillies. 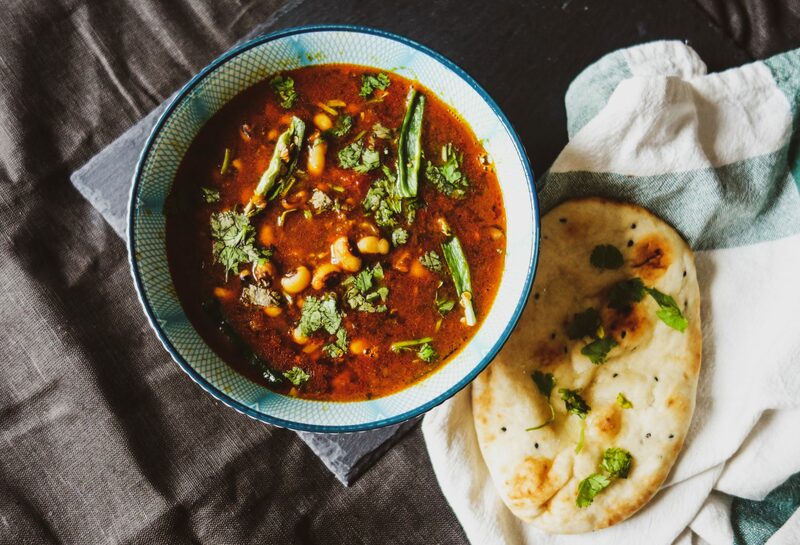 Serve this curry hot with steamed rice, or with chapatis,or even parantha's.